Import large volumes of data from multiple sources into Power BI Desktop. Edit the data before pulling it in or transforma and shape the data after it's imported. Once you have create your report, you can share the file like any other file. 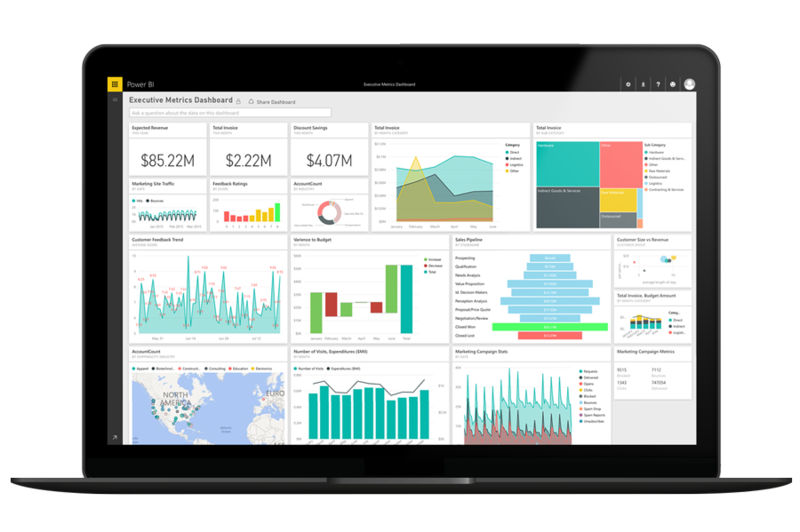 You can also publish it to the Power BI service where colleagues can interact with it.